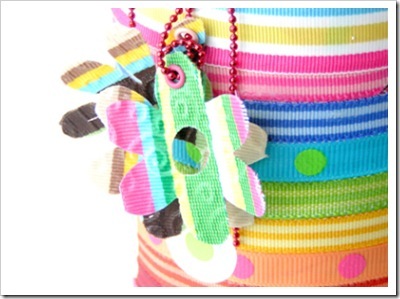 Stunning Strano Ribbon is the subject of this week's inspiration post. 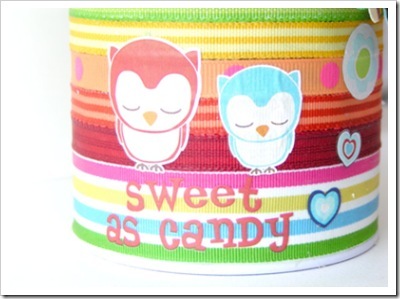 It comes in widths varying from 3/8" to a gorgeous 2" wide, in the colours of the rainbow and everything in between. A parcel of this kind of colour is enough to brighten anyone's day, and if you'd like a surprise RAK just leave us a comment and one random person will be drawn to receive one. In the meantime, have a scroll through the creative output of some of our design team and guests. 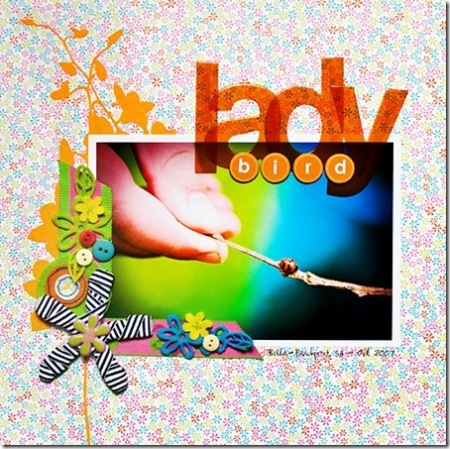 Everyone has a story to tell about how & why they began scrapbooking. For Donna, Strano was a major player in that story. 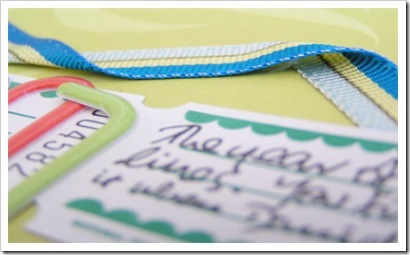 When challenged to create a layout using Strano ribbons Donna went searching for the very layout that sparked her interest...but, unfortunately could neither find it nor remember who created it. The inspiration is still there though. 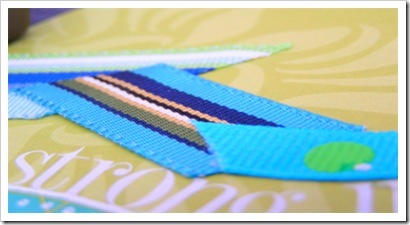 The beautifully coloured and quality ribbons by Strano Designs have inspired many of Donna's layouts and this layout is no exception. 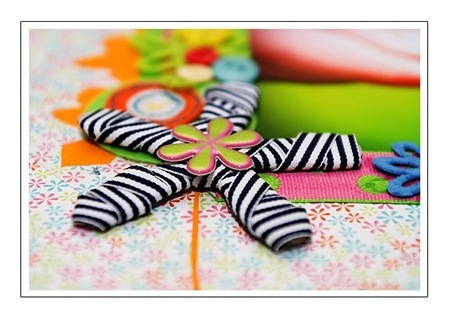 Here the bold colours of the photo are perfectly highlighted by the bold colours of these hot pink and lime green ribbons. To create a point-of-difference and to add a little drama, Donna has also added a cherryArte chipboard floral wrapped haphazardly in this black & white striped Strano ribbon. Although it seems not long ago her son was happy to sing along to the tellytubbies, Suz Doyle recognises now it's all about Silverchair. This layout is all about Alex's love of the song 'Straight Lines' and what better way to illustrate it then a collection of not very straight lines of Strano. 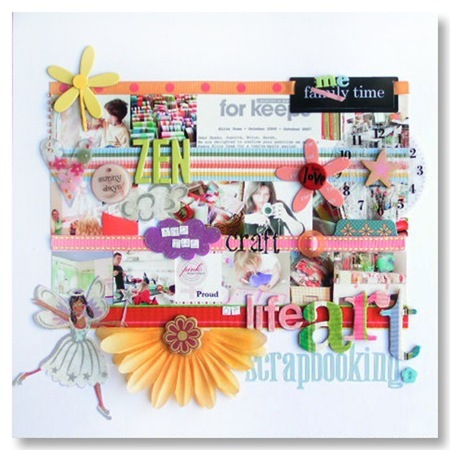 This layout Suz Doyle created for the Aussie Scrap Source 'Everyday Moments' promotion in For Keeps. 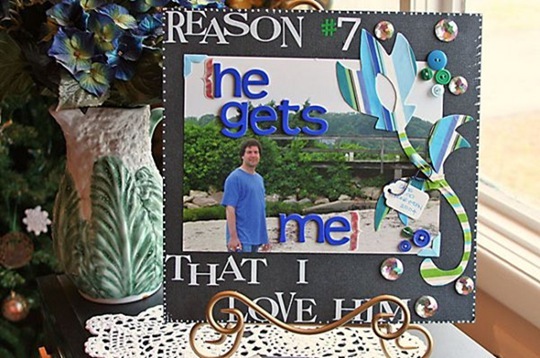 Random strips of Strano seperate images of family, scrapbooking and her life. 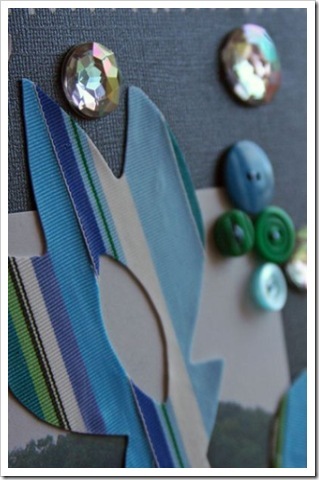 BasicGrey chipboard alphas have been covered in Strano - once Strano RibbonStiff has been applied to the ribbon you can cut them just like paper and they won't fray. 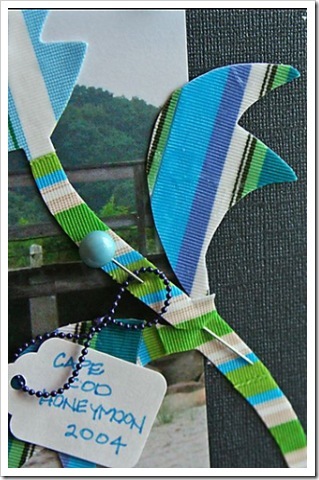 We thank Julie Ann Shahin for allowing us to share this wonderful layout which shows so well the versatility of Strano Ribbon when it's sealed with Strano RibbonStiff. Julie Ann has cut the ribbon itself into this stunning stylised floral design, and you can see how crisp the edges of the ribbon remain. 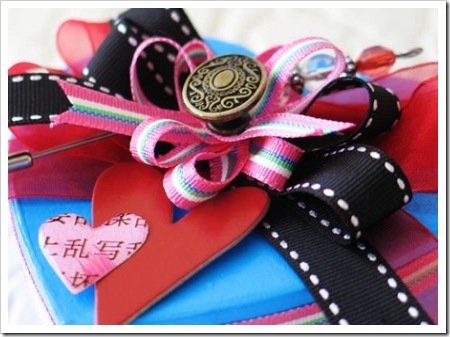 The lovely texture of the ribbon remains yet you now have the versatility of paper. 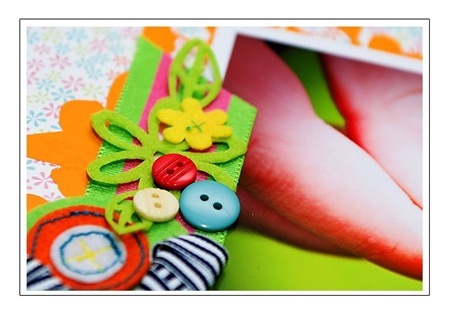 Suz loves Strano RibbonStiff and has created many projects with it - the tag book in this months class kit post a prime example. 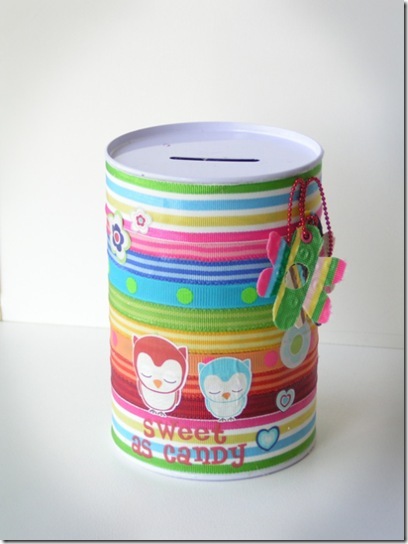 Here she has used it to cover a $2 money box tin for her daughter. Just paint the RibbonStiff onto the tin, wind ribbon around, and paint another coat of RibbonStiff over the top of the ribbon - perfectly sealed and a gorgeous little project completed in minutes. These Sassafras Lass rubons are then applied to the dried ribbon and go on like butter. Suz has also Quickcutz-ed some of the RibbonStiff ribbon into daisies, and used the Goosbumpz embossing die to give the flower some texture. 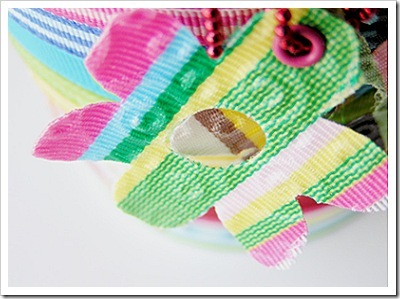 Let's face it - ribbons have been used in various crafts as trims since, well...who knows when! 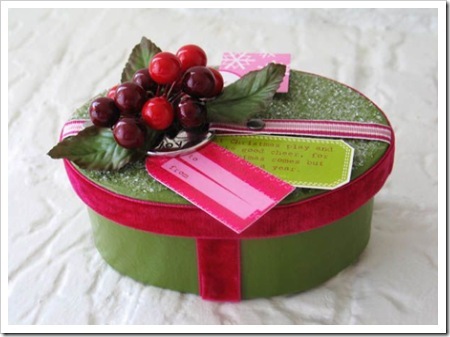 These gorgeous little boxes by Tiffany Tillman highlight this fact perfectly. 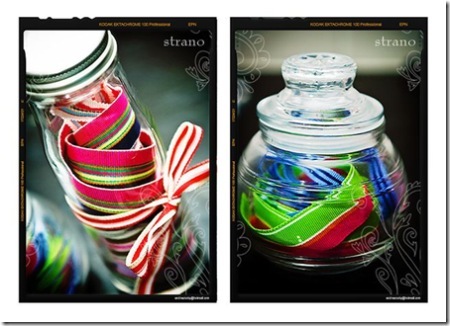 The Strano ribbons are beautifully coordinated and completely lush! 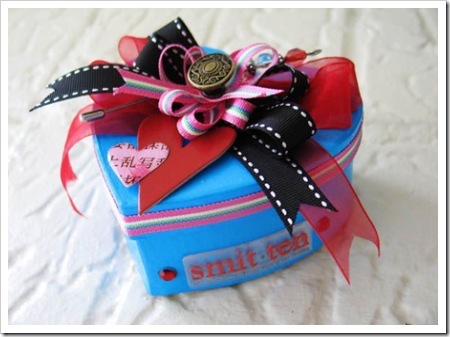 This 'Smitten' ribbon box could have any number of uses, but could also serve a very good purpose as a sweet little piece of eye-candy. 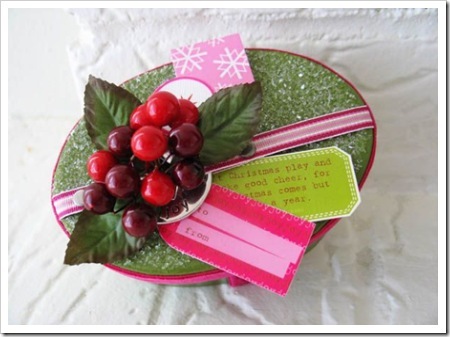 This Christmas themed box (also by Tiffany Tillman) is a fantastic idea. Imagine finding one of these under the tree or in your stocking?! **EDITED TO ADD: We have had so many queries and emails about Strano RibbonStiff. If your local scrapbooking shop doesn't already stock it just ask them to add a few bottles to their next order with Aussie Scrap Source!